Tweet A couple months back I was trying really hard to interview Ian Anderson of Jethro Tull. I was able to land the interview. At the same time the PR person that helped me land the interview recommended the band Stratospheerius to me. I decided to check out this band simply because she did a favor for me, so I figured I could repay the favor. In the process I fell in love with this band. Believe me, if I hadn't fallen in love with this band, I would have left this entire paragraph out. I’ve been into progressive rock since I was a kid. So much of it is over my head, but that is what I find fascinating about it. Stratospheerius definitely sounds progressive but there are many other elements blended in there, jazz, metal, rock, r&b etc. The weird thing is that they’re also a jam band. I have a hard time wrapping my head around a jam band that plays progressive rock. Zoiks! 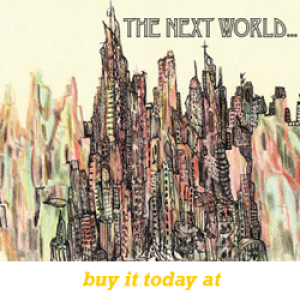 : I’m relatively new to new to your music but I did get a chance to check out your newest album "The Next World" a couple of times. It sounds like a bunch of different styles mixed into one, it’s very progressive, how would you describe your sound? Joe Deninzon: I usually say its progressive rock mixed with shades of metal, funk, jazz and middle eastern gypsy music (laughs). Z! : Where does that sound come from? Who are some of your influences? JD: We all have a lot of different influences, but for me its groups like Yes, Mahavishnu Orchestra, Frank Zappa, Radiohead, Muse, Queen, Led Zeppelin and classical music. Our drummer Lucianna comes from the jazz and R & B background…She’s sitting next to me, who are your influences Lucianna (laughs)? Z! : There’s something I’ve always wondered about progressive rock bands like Yes, Dream Theater, you guys, when you write what is the process? Is it a group effort, is it individually? I can't even think in those terms when it comes to progressive rock. JD: It’s both. I’ll bring in a sketch of a song, sometimes it’ll be a complete song. The group will tear it a part, change sections around, cut stuff out. Everybody contributes really. I come in ready for them to tear my ideas a part and change it around. I kind of like that. Everyone in the band has come up with some great contributions to the band. Z! : When you make an album, do you write while you record, do you write then record? JD: Oh no, we write and we tour with the songs for sometime. Sometimes a years sometimes two years, until it becomes ingrained in us then we feel like we’re ready to record them. We really live with the songs before we go into the studio. Although some songs, on this last album I had written right before we recorded them, but mostly we had been touring and performing with them. Z! : Based on the limited research I was able to do, you seem to be a real student of music. You come from a musical family, you started violin at a young age. You shifted to bass and guitar, now you’re playing the electric violin. You’re doing for the violin what Hendrix did for the guitar and Ian Anderson did for the flute. Can you talk a little bit about your music up bringing and how you got to where you are now with the electric violin? JD: Yeah, it was an interesting journey. Both my parents are classical musicians. I grew up in a classical household. When we came to the states from Russia I started listening to the radio a lot and fell in love with rock and pop music. I wanted to express it but didn’t know it was possible on the violin. When I was in sixth grade I started playing bass and writing songs, later I picked up the guitar. A lot of my heroes were rock guitar players like Jimi Hendrix, Jimmy Page, Steve Vai, Eric Clapton, John McLaughlin. I was trying to emulate those guys on guitar while at the same time continuing with my classical violin studies. When I was about sixteen I heard my first recording of Jean-Luc Ponty, Stephane Grappelli, Jerry Goodman and Sugar Cane Harris, violinist that really changed my life around and made me realize you can play all this stuff on the violin and it’s more unique. Z! : Earlier this year you released a book entitled "Plugging In: A Guide to Gear and New Techniques for the 21st Century Violinst." What inspired you to put a book out? JD: I was asked by Mel Bay, they saw a video of a work shop I did. They wanted me to write about book that encompassed improvisation techniques, gear and the skill set you have to have as a 21st Century Violinist to survive in todays music scene. I wrote the book. Half of it talks about blues rock and punk improvisation and the other half talks about things like choosing amplifiers, choosing an electric violin and these are all based on questions asked to me. Z! : What do you have in store for the next year or so? JD: Our next project is we’re filming a video, the title track off of our CD called "One Foot in the Next World." 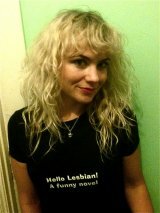 We have a kickstarter campaign and it’s going on until mid November. http://www.kickstarter.com/projects/stratospheerius/help-us-make-a-killer-video?ref=live There’s a link to the campaign on our website www.stratospheerius.com. We offer some great prizes in return. We are also writing new material. I don’t know when we’re going to record again, but we’re accumulating new stuff.